Construction material includes PVC suction tube, polyethylene bellows and discharge tube. Siphons at a rate of 7 gallons per minute. 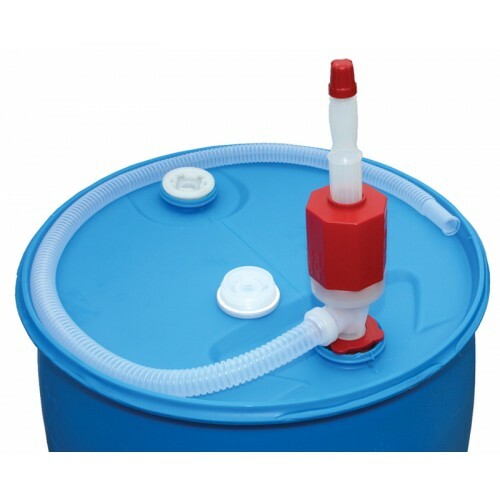 Can be used for light oils, corrosives petroleum products, liquid waxes and disinfectants. 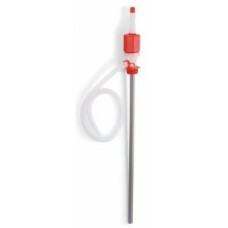 Siphon pumps fit 15, 30 & 55 gallon drums with standard 2" IPS openings (comes in 55 gallon size). Siphon liquids from higher to lower levels effortlessly.